ECG cables and lead wires are a key equipment needed for electrocardiography, a monitoring technique used in several cardiac diseases. 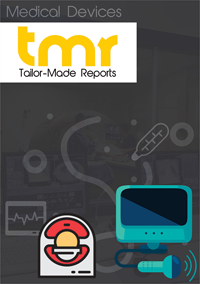 The global ECG cables and lead wires market has thus been driven primarily by the rising prevalence of cardiovascular conditions among the modern urban demographic and the growth of the geriatric demographic, which has led to rising demand for cardiac monitoring equipment. Steady growth of the healthcare sector across the world has been vital for the global ECG cables and ECG lead wires market and is likely to remain the key driver for the market in the coming years. Steady investment in the healthcare sector is necessary for sustained technological advancement in technologies such as ECG. The prevalence of cardiovascular problems has been driven across the world by the adoption of unhealthy, sedentary lifestyles by an increasing urban demographic and the steady growth of the geriatric demographic. The growth of the corporate sector has resulted in the creation of a middle aged demographic increasingly prone to cardiovascular troubles. On the other hand, rising healthcare standards across the world have led to growth of the geriatric demographic. Age weakens cardiac muscles, leading to old people being more prone to contract cardiovascular problems. This is a key driver for the global ECG cables and ECG lead wires market. The growing government support to the healthcare sector is likely to be important for the global ECG cables and ECG lead wires market in the coming years. Government support helps in enabling widespread adoption of monitoring devices in the healthcare sector as well as in reducing the prices of the devices. Steady government support is likely to make North America the leading regional market for ECG cables and ECG lead wires in the coming years. Electrocardiography or ECG is the method of recording the electrical activities of the heart during the period of time through employing electrodes placed over the skin. These electrodes are known for detecting the tiny electrical changes within the skin arising from the electrophysiologic pattern of the heart muscles of depolarizing at the time of each heartbeat. In a generic 12-lead ECGT, 10 electrodes are put on the limbs of the patient and on the chest’s surface. The complete magnitude of the electrical potential of the heart is measured by 12 angles and is thus recorded over a certain period of time. This is the way the overall direction and magnitude of the electrical depolarization of the heart is captured through the entire cardiac cycle. People are often confused between an ECG lead and electrode. An electrode is referred to as a conductive pad within contact with the human body and with the help of electrocardiograph, it makes an electric circuit. Whereas, a lead is a little more abstract and is also the source for measuring a vector. Limbs are further broken down into three categories namely precordial, augmented limb, and limb. In order to perform these tasks and procedures, ECG cables and lead wires are required and employed in the ECG machines. The market intelligence publication delves into the possible growth opportunities for the global ECG cables and ECG lead wires market and the chronological growth of the market throughout the forecast period. It also uniquely provisions required data related to facers such as dynamics influencing the progress in all possible retrospective manner. Several ubiquitous and non-ubiquitous trends have also been mentioned in the study. An outlook of extensive nature keeping in mind the Porter’s five forces analysis has been provided to make the vendor landscape transparent to the reader. The report further reaches out to point out accomplishments related to R&D, acquisitions, mergers, and crucial partnerships and verifications. The companies in limelight have been analyzed on market shares, products, and key strategies. The growth of the global ECG cables and ECG leas wires market is likely to be favored by the implementation of regulations by the government towards monitoring devices. Factors such as growing focus on strategic acquisitions and mergers by leading players, technological advancements, and rising frequency of cardiovascular diseases are further expected to propel the growth of the market. The global market for ECG cables and lead wires can be segmented on the basis of patient care setting, leadwires by machine type, usability, material, and regions. In terms of ECG cables and ECG leadwires by materials, the market can classified into TPE (Thermoplastic elastomer), TPU (Thermoplastic polyurethane), Silicone, and PVC. On the basis of usability, the ECG Cables and ECG Leadwires market can be bifurcated into disposable and reusable. In 2015, the market was presumably dominated highly by the reusable segment owing to the ease in use and economical factor attached with it. Likewise, on the basis of patient care setting, the market is classified into homecare, long term care facilities, clinics, and hospitals. Region-wise, the global ECG cables and ECG lead wires market can be categorized into Europe, Asia Pacific, North America, and the Rest of the World. Owing to the mounting number of geriatric population and the demand for remote intensive care ECG devices, the market in North America is expected to emerge as a prominent market in the global ECG cables and ECG lead wires market. Some of the leading players in the market are SCHILLER AG, OSI Systems, Inc., CONMED Corporation, Welch Allyn, Inc., Curbell Medical Products, Inc., Medtronic plc, Becton, Dickinson and Company, and 3M Company.